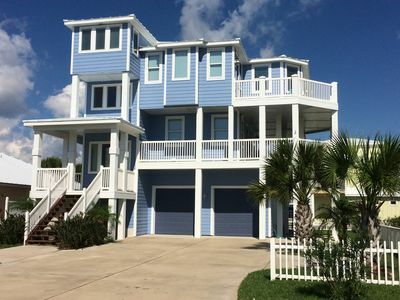 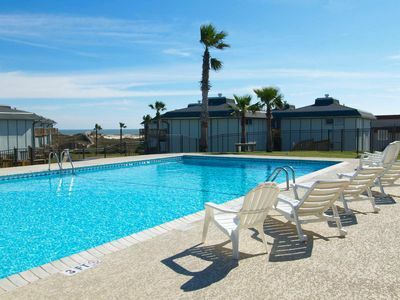 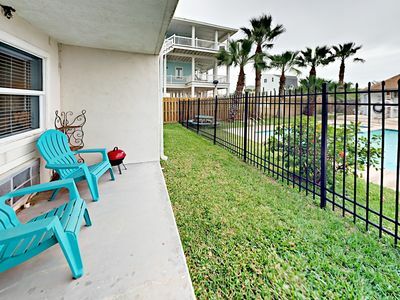 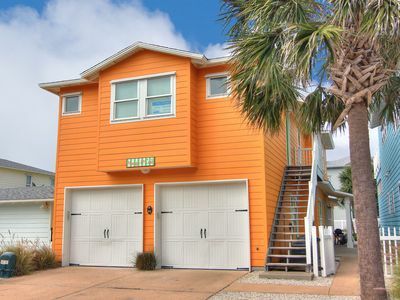 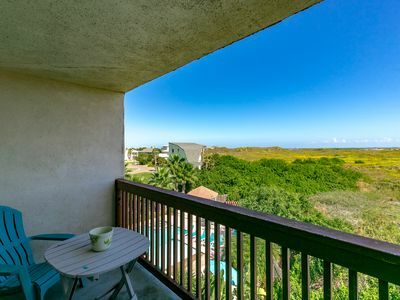 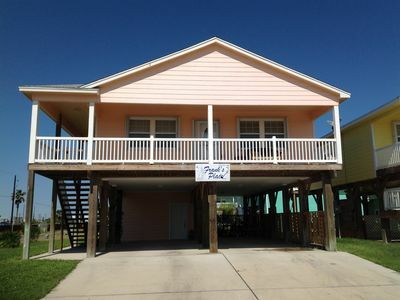 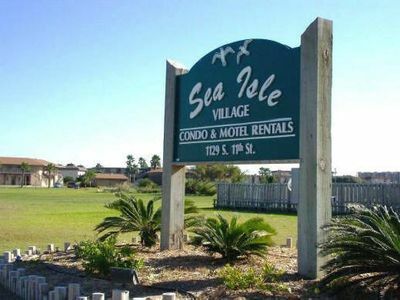 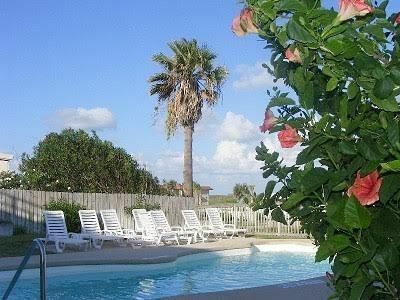 4 bedroom 4.5 bath home, Community Pool, right in the heart of Port Aransas! 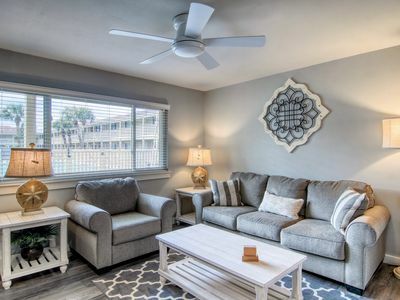 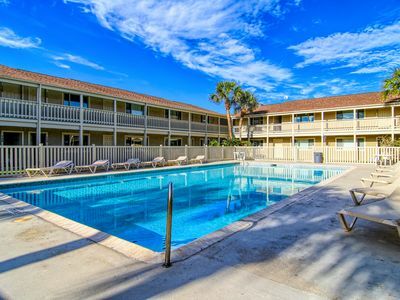 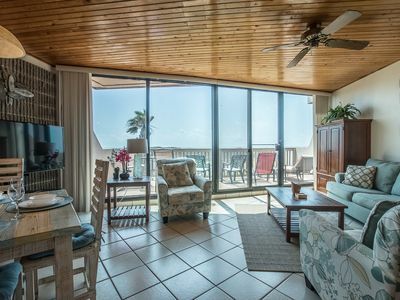 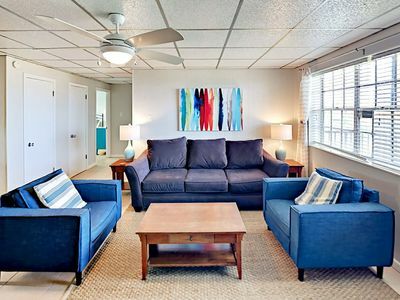 The pool next door, the fastest Internet on the Island and whole house DVR in both living areas make MANGO AND CASH your best choice for a great, stress free getaway with all the comforts of home. 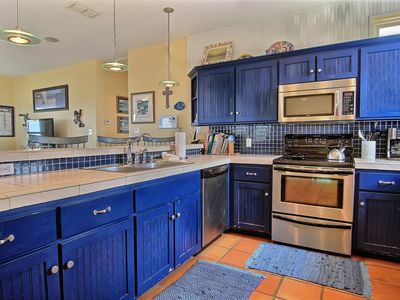 The moment you walk into this home you will feel like you're on vacation. 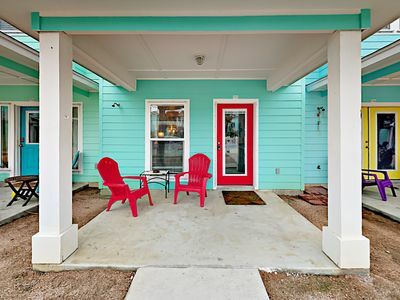 Bright, fun colors and lots of natural light will welcome you. 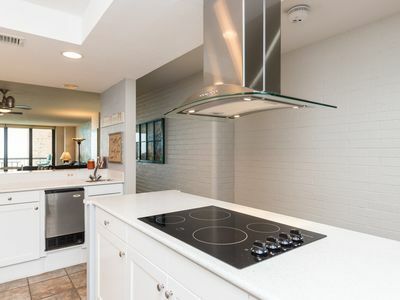 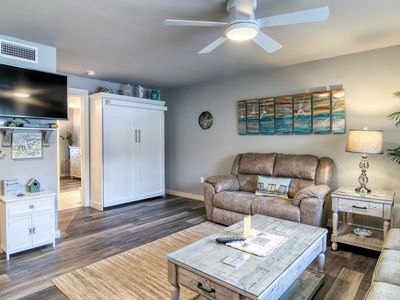 The open kitchen, living room and dining room is the perfect gathering spot for family dinner and even movie night with a 55 inch flat screen TV. 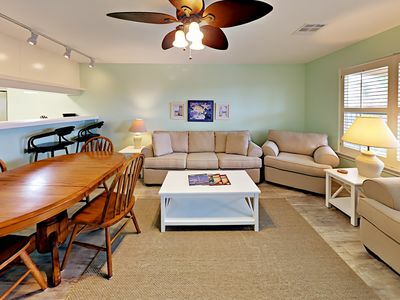 The dining room table and card table combine to seat 14 to accommodate large families. 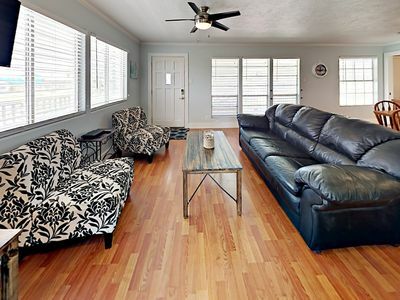 If everyone in one room isn't what you're looking for, the second floor boasts an additional living area with a full size hide-a-bed, a big TV, a mini fridge, coffee pot, toaster and blender. 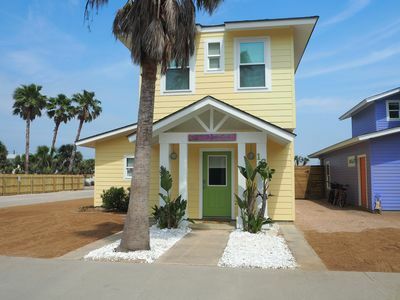 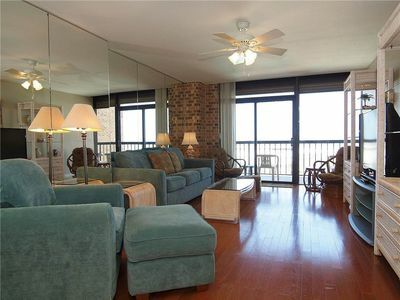 Adorable Home in Royal Palms - 2 Master Bedrms - Sleeps 10!